Instagram, Facebook, and Twitter should be a part of any marijuana social media marketing strategy. Facebook has over 2.2 billion monthly users. Twitter clocks in at 336 million monthly users. And Instagram (also owned by Facebook) has 800 million monthly users. But promoting your cannabis business via social media presents a unique challenge. Most social media sites don’t allow you to advertise cannabis products. So cannabis companies have to work the system and create social media content that both engages users and drives them to the company website. And what’s one of the best ways to target social media users who are interested in cannabis? Hashtags are social media keyword phrases that have a pound symbol (#) placed in front of them. A hashtag can be as simple as one word (#cannabis), or it can be several words long (#smokeweedeveryday). Hashtags are used on social media to group ongoing conversations together. For example, if you were to click on the hashtag #cannabis, the resulting stream would contain conversations and content from any user who is also using that hashtag. 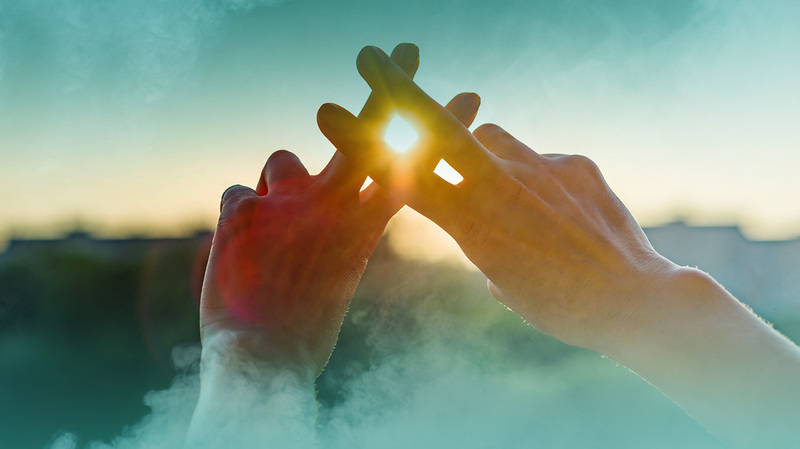 By incorporating popular hashtags in your social media posts, your brand can become a part of the broader conversations that are happening within the cannabis community. Your posts will then be available to potentially millions of users – not just the users who happen to be following you. Before we dive into the most popular hashtags, let’s first talk about these three major platforms — Instagram, Facebook and Twitter — and how best to leverage them. Instagram is insanely popular among the cannabis community. Because it’s image-driven, you can use this platform to display products, photos of your business, or any images that reflect your brand. Twitter is an ideal customer engagement and customer service tool. Of course, you can post virtually any type of content (photos, news articles, videos, and GIFs), but in terms of marijuana social media marketing, it’s ultimate value is that it provides you with a direct channel to communicate with your customers. Although Facebook use has declined among millennials and Generation Z, it’s still the most widely used social media platform in the world, with over 2 billion monthly users. Facebook can be used as a miniature version of your website (complete with business hours, location, contact information, and reviews), and it’s also a great platform for livestreaming videos and promoting group conversations. You can use multiple hashtags in your posts (Instagram allows you to use up to 30 hashtags). Try to avoid broad hashtags like #cannabis or #vape. It’s tough to get a top-ranking post under these hashtags, especially if you have a small or medium-sized page. Experiment with hashtags that are less competitive but are still relatively popular (don’t worry – we’ll provide you with examples in a bit). As we said before, Instagram is widely popular within the cannabis community, but you can also use the same hashtags across multiple platforms, including Facebook and Twitter. #cannabiscommunity currently has 6 million posts on Instagram. It covers a wide spectrum of different types of content, from people posing pictures of strains, dispensaries offering special deals and discounts, artwork, and more. The use of vaporizers has exploded over the last decade and has developed a subculture all its own. This hashtag allows users to show off their latest vape gadgets and highlight any design modifications they’ve made. You’ll also see a lot of photos and videos of people blowing intense vape clouds. Edible consumers are constantly looking for new recipes, cooking tips, and new product offerings. Use this hashtag to grab their attention, especially if you’re offering an exclusive deal on edibles. The #hightimes hashtag focuses mainly on the cannabis lifestyle. Expect to see a lot of memes and photos related to people’s personal experiences with cannabis, as opposed to content that focuses just on specific products. #legalizeit refers to the call to end cannabis prohibition. You’ll find users posting infographics about the benefits of medical cannabis, links to news articles, and quotes from famous people and celebrities who are calling for full legalization. Cannabis companies can use this hashtag to updates social media users on the latest legalization news – especially if it’s news that the industry receives before the average consumer. Need help incorporating hashtags into your marijuana social media marketing strategy? Give us a call at (702)-600-9687 or email us at hello@hazymarketing.com for a consultation!